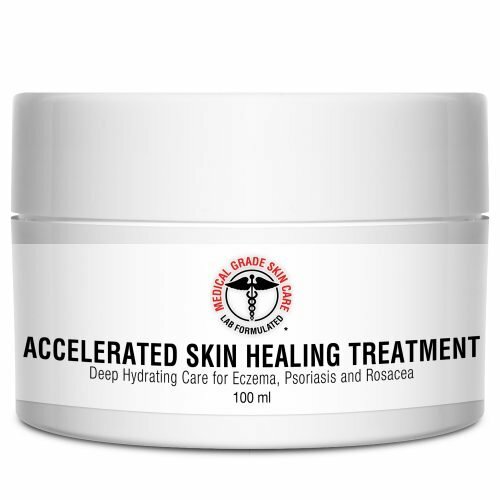 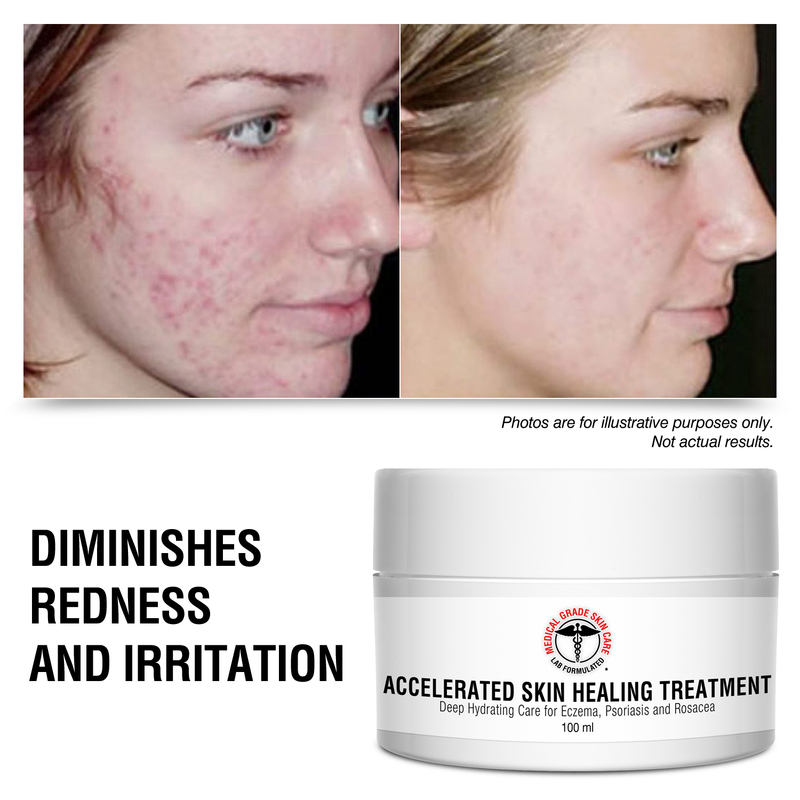 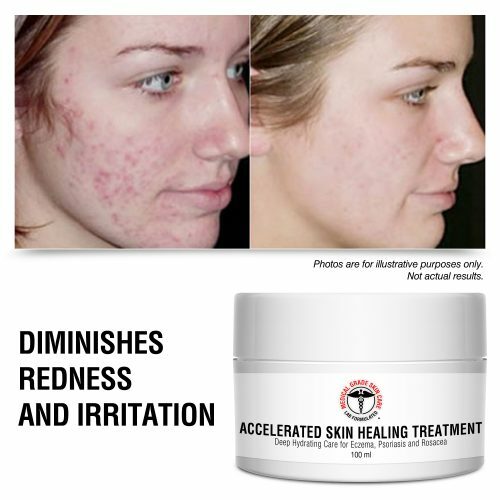 Get quick relief from itchy, damaged, and irritated skin with long-lasting results with our Medical Grade Skin Care Accelerated Skin Healing Treatment. Our team of cosmetic pharmacists formulated this proprietary blend of natural ingredients to soothe dry, sensitive, cracked, and irritated skin with this “Queen of All Creams”. 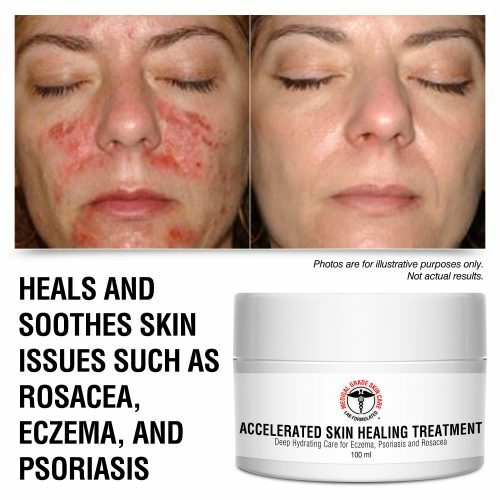 Providing fast relief for a number of skin issues such as psoriasis, eczema, rosacea, dermatitis, and other common problems, you won’t want to be without this when you experience a flare-up. This potent formula is packed with organic ingredients and nutrients specifically chosen for their healing properties. 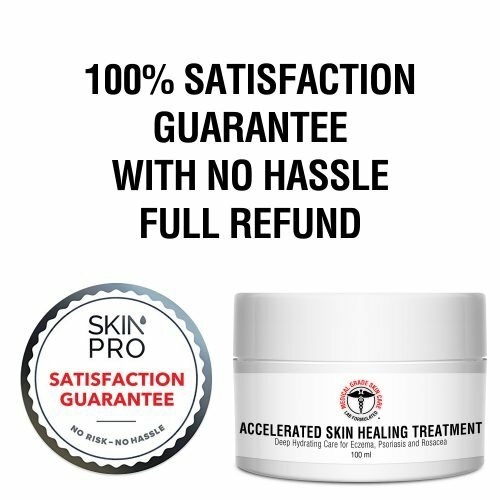 These active ingredients work together to help your skin cells recover and regenerate, removing and repairing damaged skin cells to make way for fresher, healthier, more nourished skin. 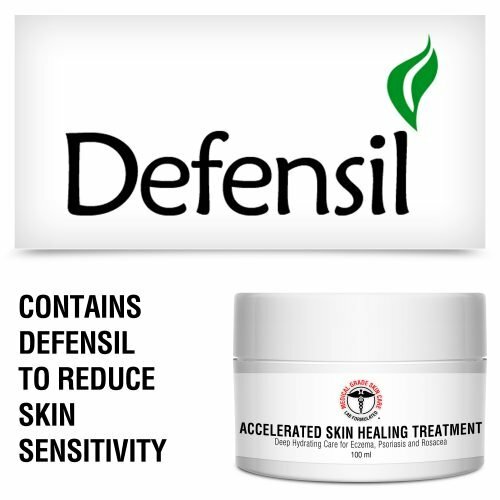 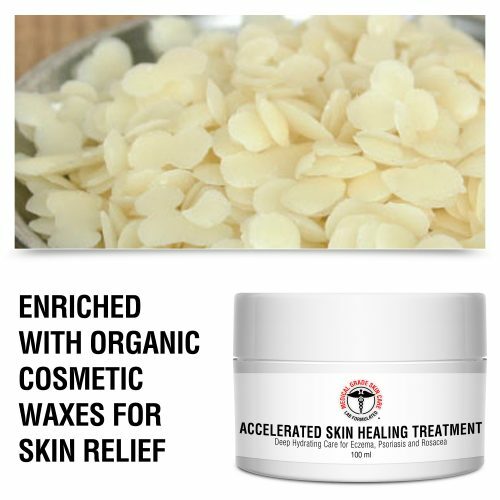 This includes Defensil-Soft Pain Killer, a natural extract that works as an analgesic to increase the skin’s pain threshold and boost its comfort zone, making it the perfect formula for application on even the most sensitive, irritated skin. 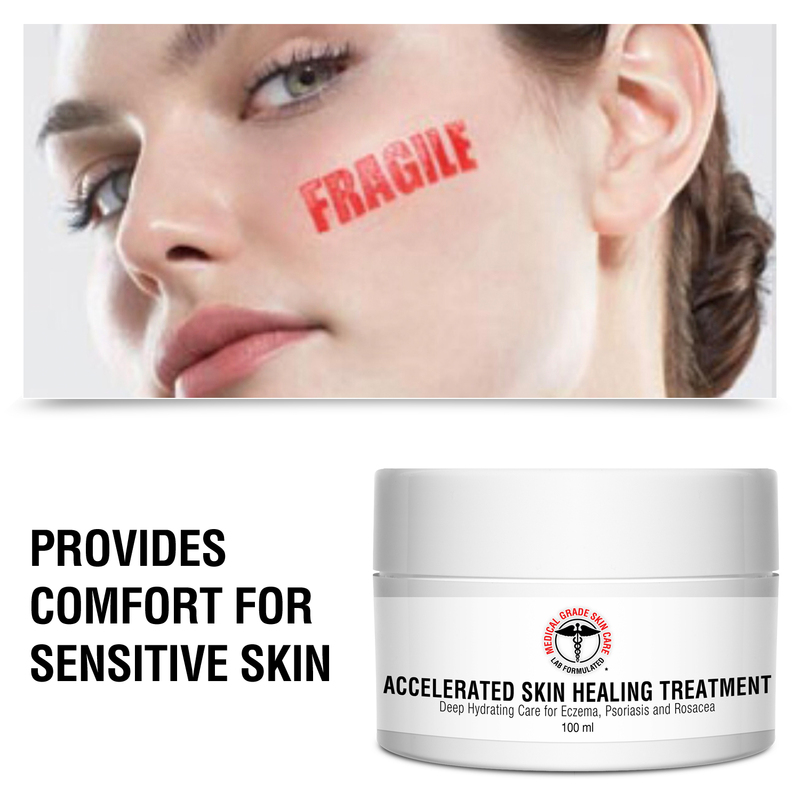 Apply topically to affected area(s) as needed. 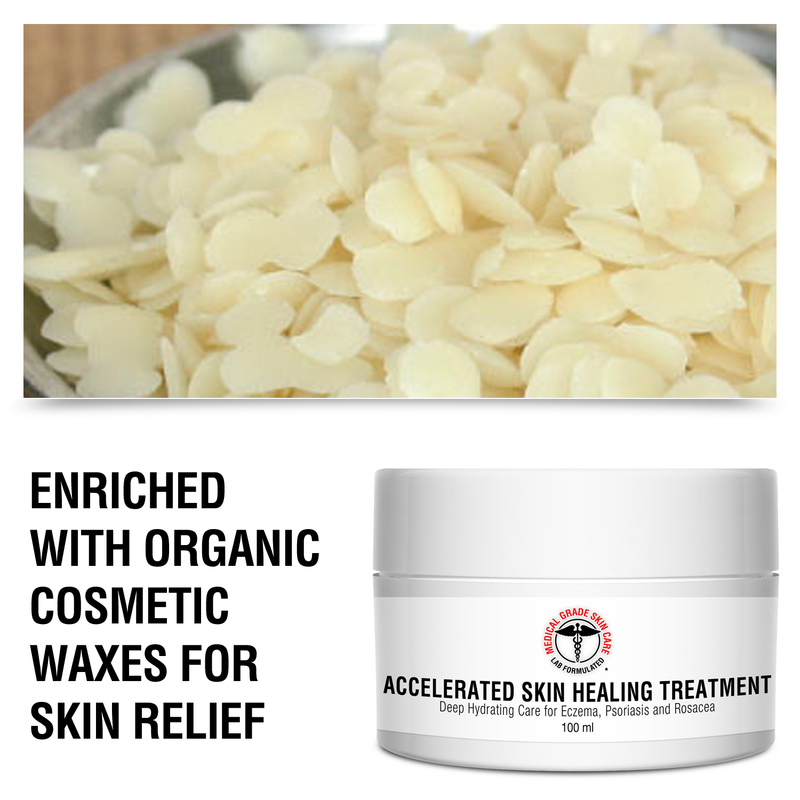 Purified Water, Organic Emulsifying Wax, Caprylic/Capric Triglyceride, Vegetable Glycerin, Propanediol, Albratrellus Ovinus Extract, Persea Gratissima (Avocado) Oil, Hydrogenated Ethyl Hexyl Olivate, Hydrogenated Olive Oil Unsaponifiables, Cocos Nucifera (Coconut) Oil, Sclerocarya Birrea (Marula) Kernel Oil, Lavandula Officinalis (Lavender) Oil, Mentha Piperita (Peppermint) Oil, Helianthus Annuus (Sunflower) Seed Wax, Ascorbyl Palmitate, Tocopherol, Butyrospermum Parkii (Shea) Butter.